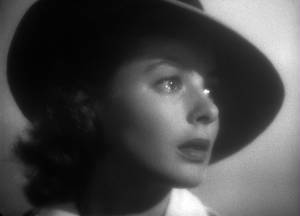 Ingrid Bergman as Ilsa, in Casablanca. 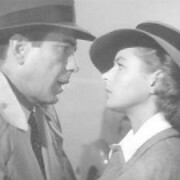 Humphrey Bogart as Rick, and Ingrid Bergman as Ilsa, in Casablanca. I saw this gorgeous and intriguing picture on Shorpy.com, a popular photo blog that posts old pictures and invites comments from readers. The picture was submitted by Scott Allen, the grandson of the photographer, Howard McGraw, who worked a long time for the Detroit News. 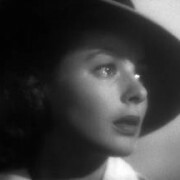 I immediately noted that the stylish young lady bore a striking resemblance to Ingrid Bergman, who played Ilsa (opposite Humphrey Bogart’s character Rick) in Casablanca, which was released in 1942, oddly enough, the same year that the photo was taken. But the lady was not identified. I contacted Mr. Allen, and this is all he could tell me. So who was she? And how am I going to find out? 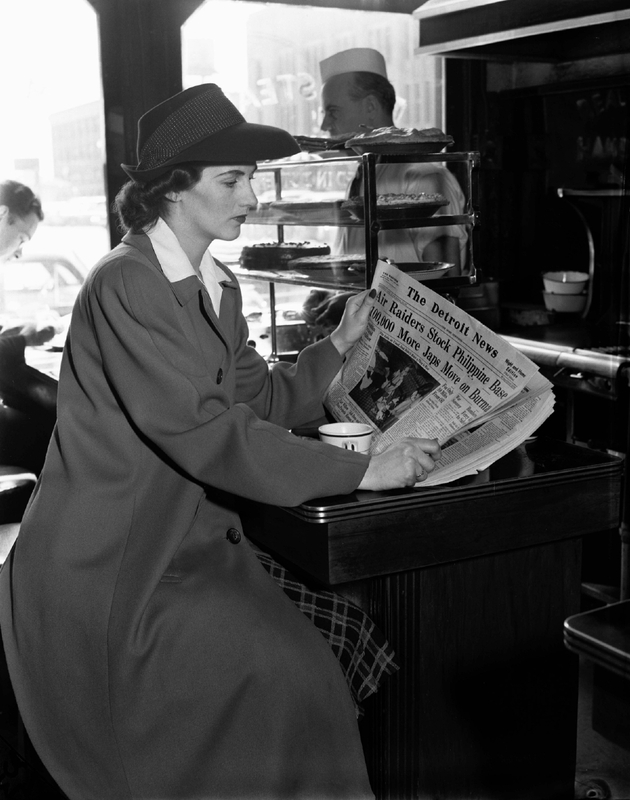 I tried to persuade the Detroit News to publish the photo, hoping a reader would recognize her, perhaps a son, or daughter, or grandchild. But they were not interested. RICK: Who are you really? 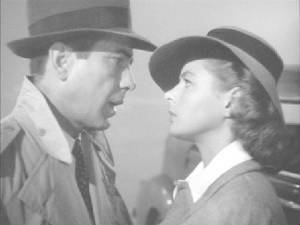 And what were you before? What did you do and what did you think? Huh?